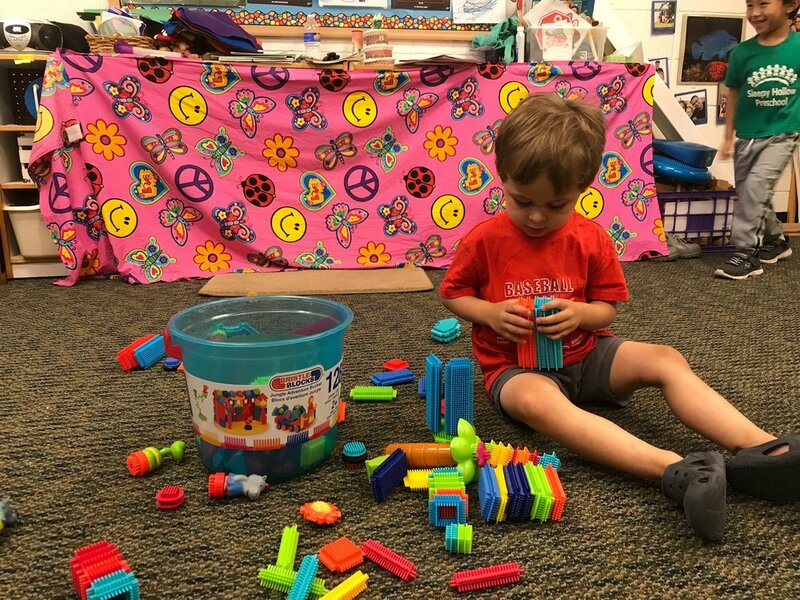 The school morning for three (and four) year-olds is balanced between outside play time, “home base” time, and “open center” time. The Three Year Old Program is offered three days a week: Monday, Tuesday and Wednesday, from 9:10 a.m. to noon. Children join their respective classes in their rooms after coming inside and washing hands. 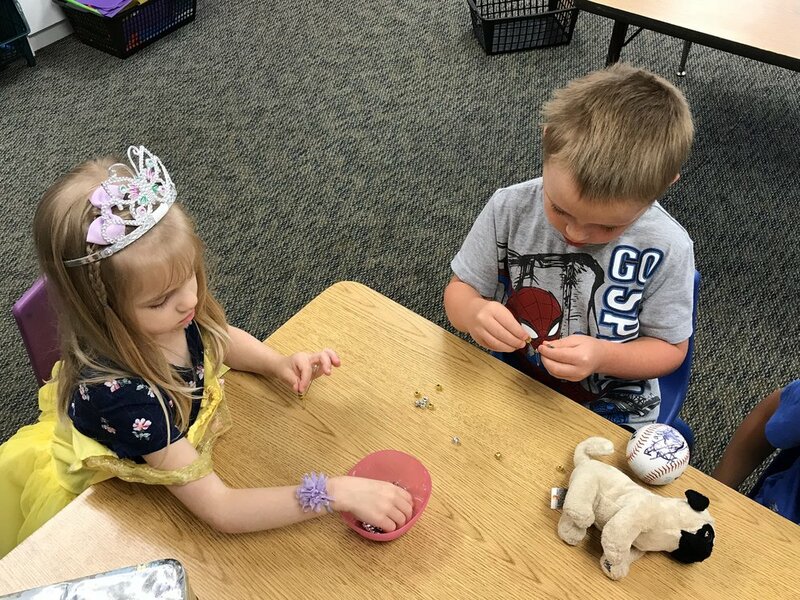 The students enjoy a family style snack together, clean up and then enjoy circle time or teacher-led group activities such as songs, stories, and conversation in circle. Students share their news and learn to listen to their peers' stories and updates. They learn to care for their friends and respond to the emotions and feelings of others. Caring about yourself and each other is a core principle at SHPS. 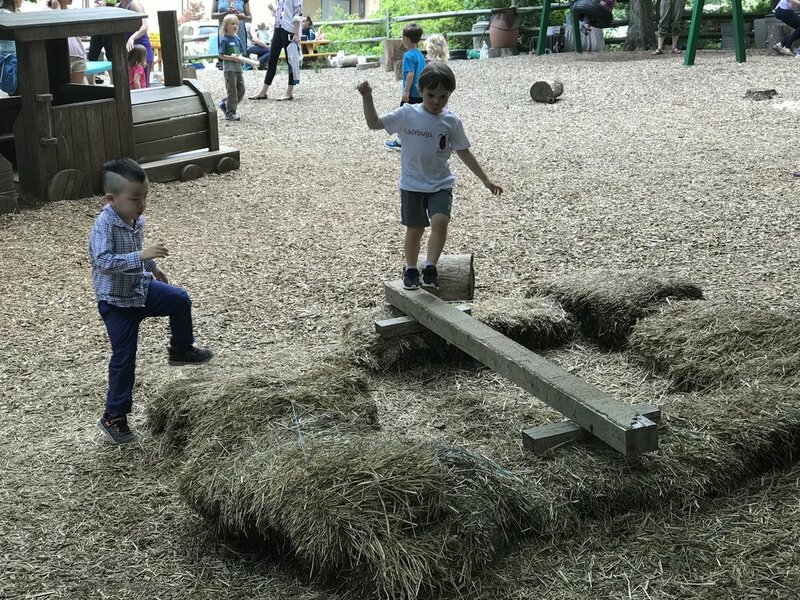 The Sleepy Hollow Preschool philosophy of learning through play flourishes in the open center program. During this portion of the day, children are free to move from one room to another and to choose among the various opportunities in each. Teachers guide and encourage the children as they construct their individual experiences. 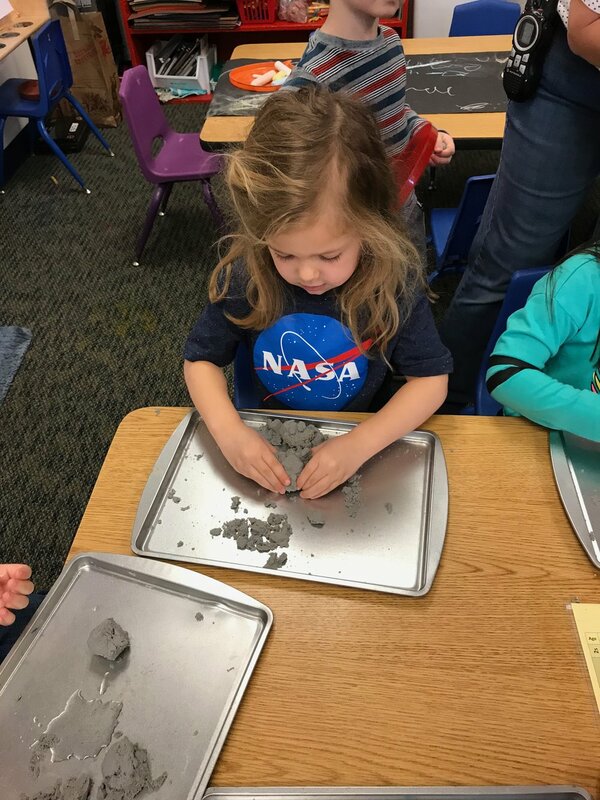 Each unique center offers a range of STEM activities that are consistently available every day. 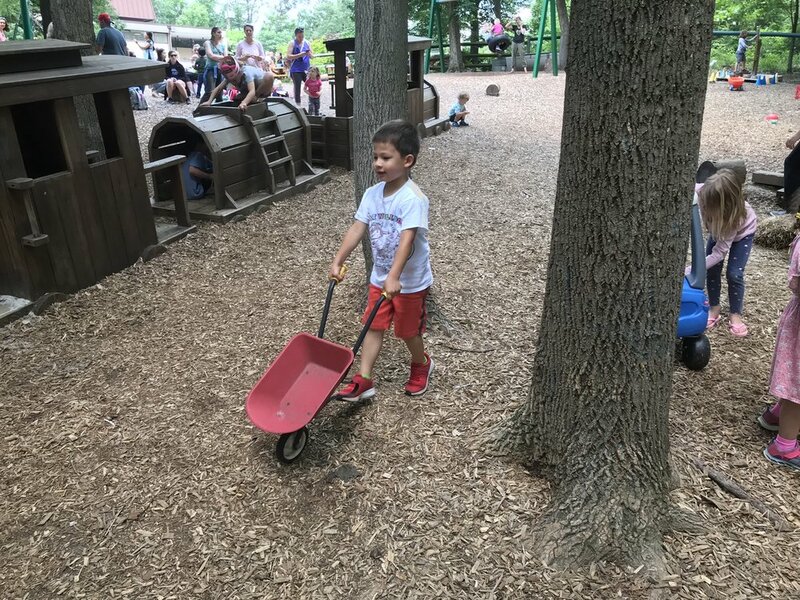 Additional activities vary from day to day based on children’s interests as well as seasonal themes and other educational inspiration. 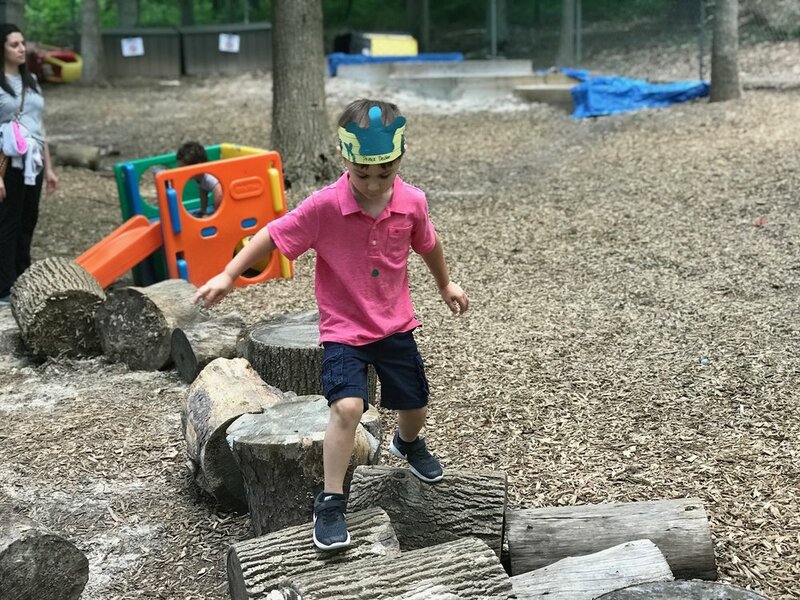 Outside Play: Children are free to choose from a variety of activities from sandboxes to obstacle courses and impromptu mud-pits. 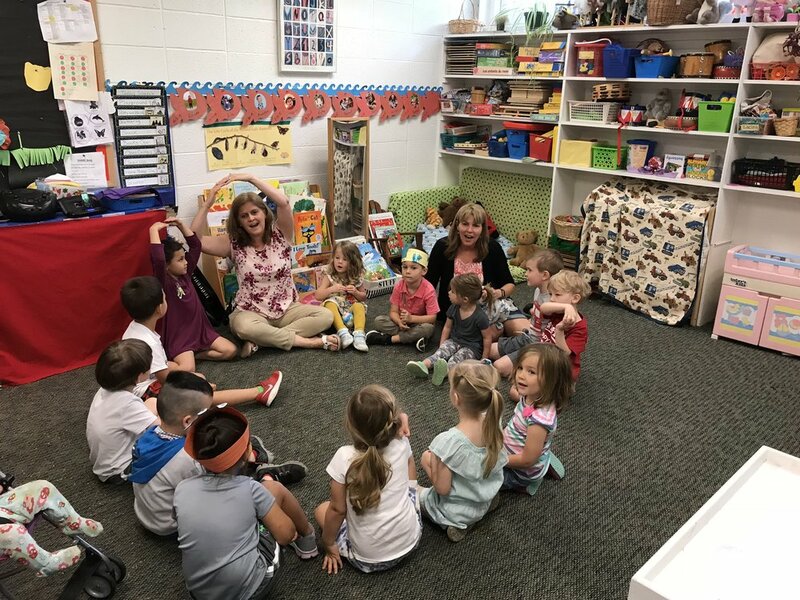 Mrs. Healey's love of music spills into everyday activities in the ladybug classroom. Friends sing while walking down the hall, washing hands, having snack, at gathering time and just for fun. Making music and moving our bodies is a big part of what we do at SHPS. Just wait until your child sings the hand-washing song at home, you will quickly learn it too! Lets get messy! Art in all forms, paint, stickers, markers, dot-pens, glitter, glittler and more glitter... you name it and we will make art with it! The butterfly room is always a creative space for kids to explore their budding artistic side. 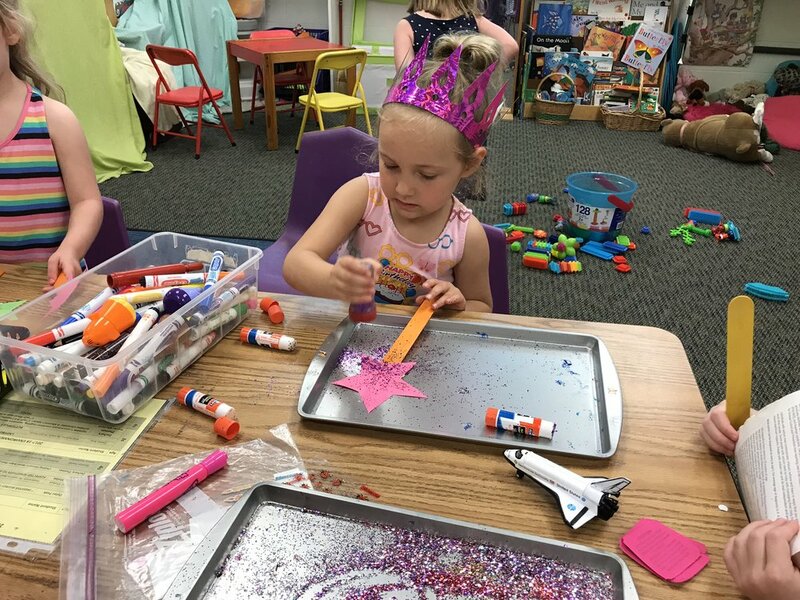 The birthday cutoff for all classes is September 30, in accordance with the kindergarten entry age of the Fairfax County public school system. Children enrolling in three year old classes must be 3 by September 30. Students are NOT required to be potty trained at SHPS. Your child will be accommodated, whether he/she is still in diapers, in the midst of toilet training or fully trained. "My favorite part of school was playing with the cars. School has a car wash! I loved that my teachers would build stuff with me!"